Designed to provide a solid foundation for your business, Transit Chassis Cabinato is the ideal vehicle to be converted for various productions. With a full range of engines and transmissions, the choice among three steps, four lengths of the frame, rear- wheel drive or front drive and the availability of the double cab. Transit Chassis has been designed to support all the demands of working life. 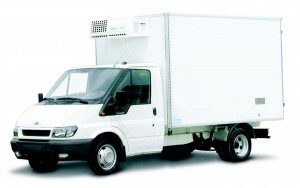 Installation of cold storage for Ford Transit vans, by F.lli Benaglio. At disposal a technical and commercial staff at the 0584 696.474 or via mail.